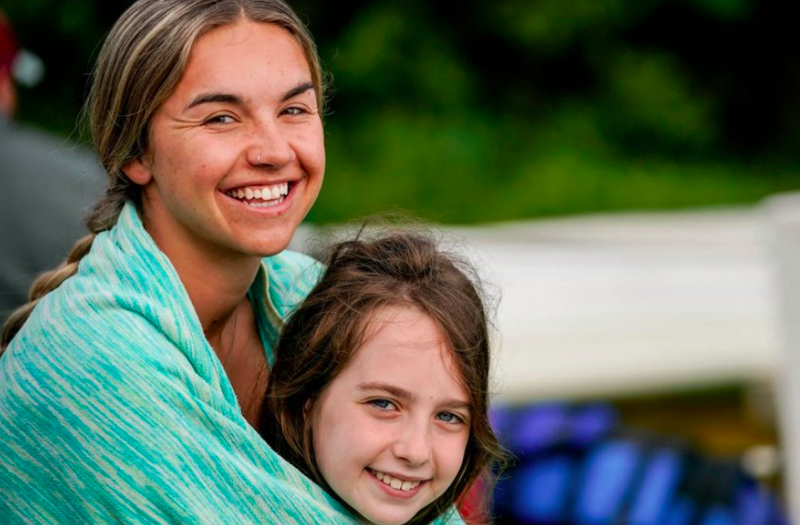 Madi W. of Adelaide, Australia came all the way to New England’s favorite summer camp to share fun-filled experiences that she’ll remember forever. As the wake-sport team instructor at Camp Walt Whitman, she relished seeing campers’ faces light up as they achieved “wicked goals”—whether that meant landing a jump or making it beyond the wake for the first time. “I never get tired of it,” Madi said. Madi couldn’t help but admire the bravery, strength, and camaraderie these young people exhibited over the course of their journeys. While many children arrived visibly tentative, as the days passed, she saw them become self-assured and confident. She watched as the shy campers made friends and high-fived after standing up on skis for the first time. And as they blossomed, she did, too. In addition to building genuine connections with campers, Madi fostered strong, long-lasting relationships with fellow employees. In the end, she knows Camp Walt Whitman offers more than just an enduring sense of community—it also offers the opportunity to be a part of a family. If your little one was lucky enough to experience the magic of Camp Walt Whitman, have them share their unique story—the staff would love to hear from you! If your kid has never been to New England’s best summer camp, the friendly team invites you to check out all they have to offer. You can schedule a tour or enroll, and if you have any questions about the coed camp, give them a call at (800) 657-828 today.